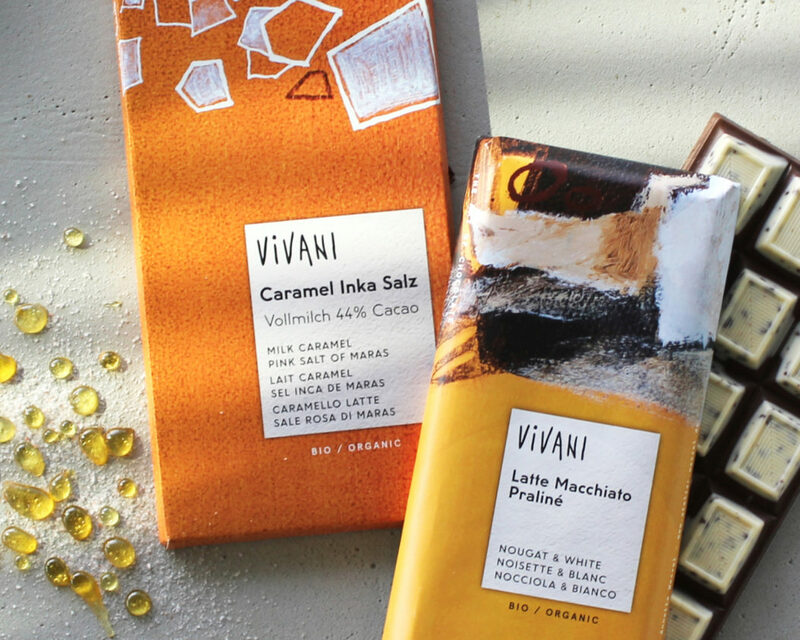 A delicate, creamy nougat bottom with a topping of white chocolate with Espresso crisps. 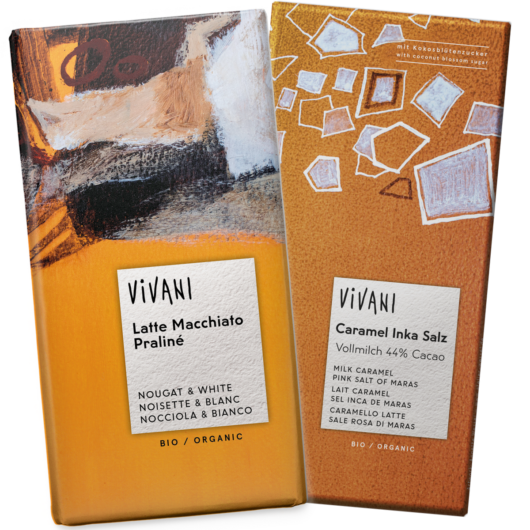 Milk chocolate with a cocoa content of 44%, refined with crunchy caramel and high-quality Pink Salt of Maras. Thanks to the alternative sweetness of coconut blossom sugar, the variety gets its very own flavour – between malty, salty and sweet.